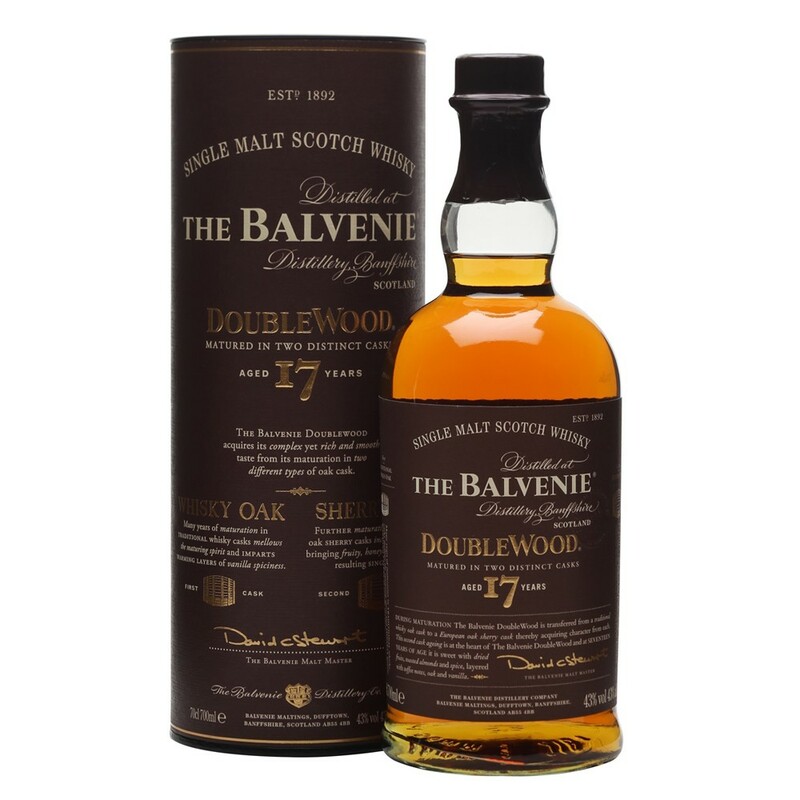 The Balvenie DoubleWood it sees the whisky matured first in American oak barrels, which impart soft sweet vanilla notes, before being transferred to European oak sherry casks, where the second cask aging adds rich spicy flavors, depth and fullness of flavor. An elder sibling to the popular DoubleWood 12 Year Old, this new aged version shares the same DNA and the honeyed, spicy characteristics as the 12 Year Old, but it is distinctly different, with deeper vanilla notes, hints of green apple, creamy toffee and a striking richness and complexity. Tasting Notes: NOSE: Elegant and complex with oak, vanilla, honeyed sweetness and a hint of green apple. TASTE: Sweet with dried fruits, sherbet spice, toasted almonds and cinnamon, layered with a richness of creamy toffee notes, traces of oak and deep vanilla. FINISH: Vanilla, oak, honey and a spicy sweetness.